In this raw and motivational show we focus on forging men into modern day warriors. We uncover the secrets of how Tier-1 Men are created. You will learn how they live, how they think and what sets them apart. These men are the chosen few who have the courage, self confidence and warrior spirit that is embodied in every aspect of their life. Whether they are running toward gunfire, walking into a boardroom or being a transcendent fathers and husbands, at the core they remain warriors. 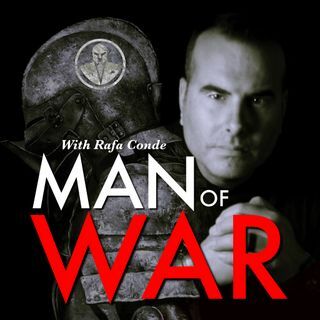 Every ... See More show, internationally recognized combatives expert, decorated law enforcement officer and entrepreneur Rafa Conde pulls no punches and pierces the veil diving deep into the heart of elite warrior minded from around the globe. Their motivational stories of success, tribulations and strength will empower you to start honing your Warriorcraft to be battle ready for the game of life. Through these powerful conversations you will learn that you do not need to be a soldier or a cop to walk the warrior's path. Rafa gives you warrior-hacks that any man with the desire to make a change can implement them into their lives. You will strengthen your mindset, courage, self confidence and self defense skills on your path to becoming a modern day Warrior.